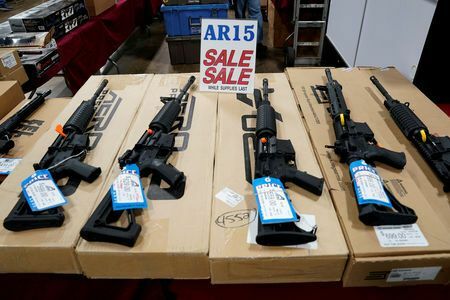 Channel News Asia: The Connecticut Supreme Court on Thursday (Mar 14) allowed a lawsuit against Remington Outdoor Co Inc to go ahead, giving families who lost loved ones in the 2012 Sandy Hook shooting the chance to pursue their claims in an effort to hold the gunmaker liable. Adam Lanza, 20, used a Remington AR-15 Bushmaster rifle, a semi-automatic civilian version of the US military’s M-16, to kill 20 children between the ages of 6 and 7, as well as six adult staff members, at Sandy Hook Elementary School on Dec 14, 2012. He then killed himself. Legal experts have said any appeal of the ruling by the gunmaker would likely be taken up by the US Supreme Court, where it could face steep legal hurdles. The 2005 Protection of Lawful Commerce in Arms Act, or PLCAA, has provided the US firearms industry an almost impenetrable defense against lawsuits by victims of mass shootings and gun violence, broadly shielding Remington and others such as American Outdoor Brands Corp, Sturm Ruger & Co and Vista Outdoor Inc from liability stemming from such incidents.